The twin sister to nutmeg, mace smells very much like it. That's because mace is actually the red membrane that covers the nutmeg shell. 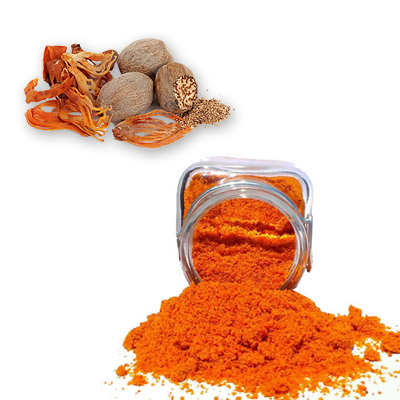 Once it's removed and dried, however, mace changes in color to yellowy-orange. The dried mace is sold either in whole blades (harder to come by) and ground (widely available). Indonesia and Grenada are the world's main sources of mace and nutmeg, although the nutmeg tree was native to the Banda Islands. While nutmeg is most widely used in sweets, mace is typically used in savory dishes. Mace is the distinct flavor in bechamel sauce.